Algonquin Young Readers, 9781616203726, 336pp. On the outside, there’s Violet, an eighteen-year-old dancer days away from the life of her dreams when something threatens to expose the shocking truth of her achievement. On the inside, within the walls of the Aurora Hills juvenile detention center, there’s Amber, locked up for so long she can’t imagine freedom. Tying their two worlds together is Orianna, who holds the key to unlocking all the girls’ darkest mysteries . . .
What really happened on the night Orianna stepped between Violet and her tormentors? What really happened on two strange nights at Aurora Hills? Will Amber and Violet and Orianna ever get the justice they deserve—in this life or in another one? In prose that sings from line to line,Nova Ren Suma tells a supernatural tale of guilt and of innocence, and of what happens when one is mistaken for the other. 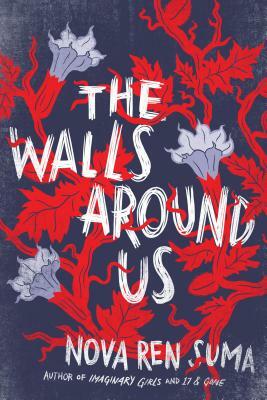 Nova Ren Suma is the author of the #1 New York Times bestselling The Walls Around Us, which was an Edgar Award finalist. She also wrote Imaginary Girls and 17 & Gone and is co-creator of FORESHADOW: A Serial YA Anthology. She has an MFA in fiction from Columbia University and teaches at Vermont College of Fine Arts. Originally from the Hudson Valley, she spent most of her adult life in New York City and now lives in Philadelphia.